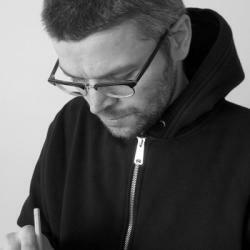 Graduated in 2004 at the Zürich University oft the Fine Arts in visual communications, Lukas Zimmermann opened his own graphic design studio in Zürich. In general the studio produces printed products for cultural institutions and museums. Additionally numerous self printed posters for concerts come up. For a wide range of such posters, the studio received in 2010 the Swiss Federal Design Award.